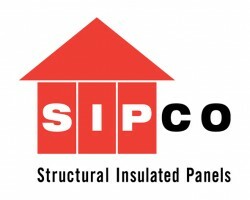 SIPCO offer a complete Structural Insulated Panel (SIP) design, manufacture, supply and installation project management service, which can be tailored to suit your specific requirements. SIPCO panels have been manufactured for use in a variety of building applications: examples: Housing, Schools, Commercial Buildings, Community Centres, Retail, Supermarkets, Hospitals, Colleges, Hotels, Leisure Centres and Garden Rooms. Working in an open and honest way – being dependable and collaborative, SIPCO is continually adapting to our client needs and taking pride in achieving excellence in everything we do through a culture of continual improvement.